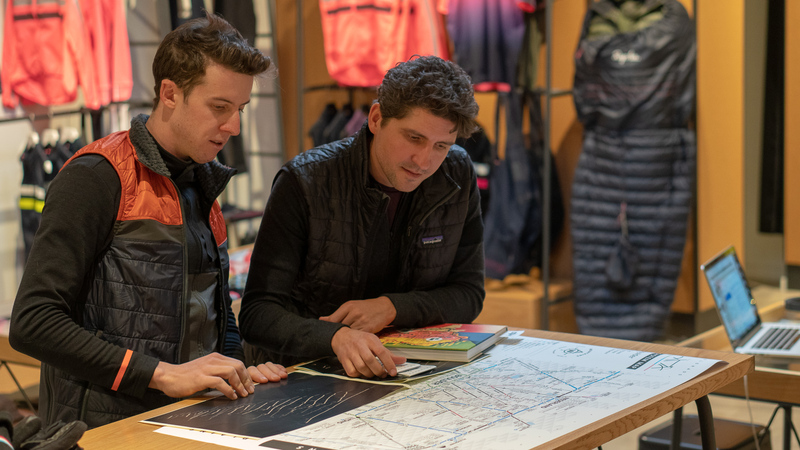 “Any good map should be the start of an adventure,” Zach said. 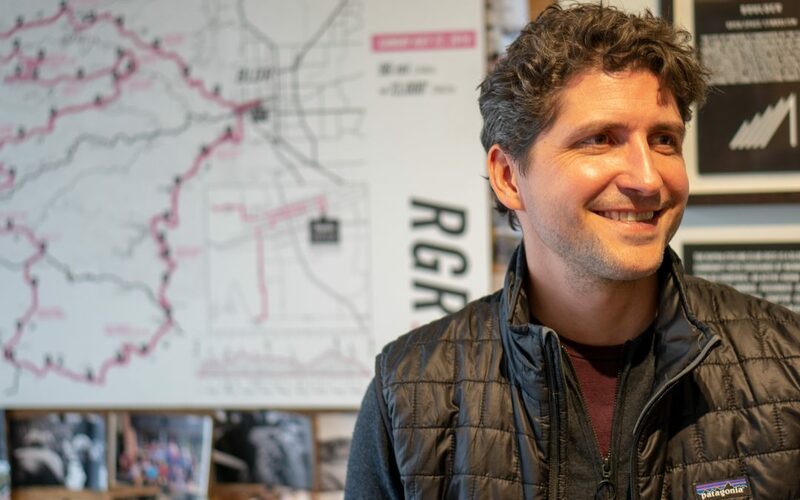 Although Zach creates pieces for companies like Skratch, Rapha and Donnelly, his Boulder Cycling Map is a multi-year personal passion project. 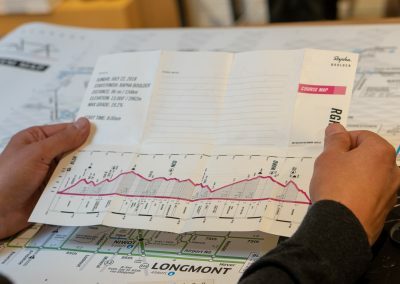 Most cycling maps take existing road maps and superimpose or highlight cycling routes on top of them. 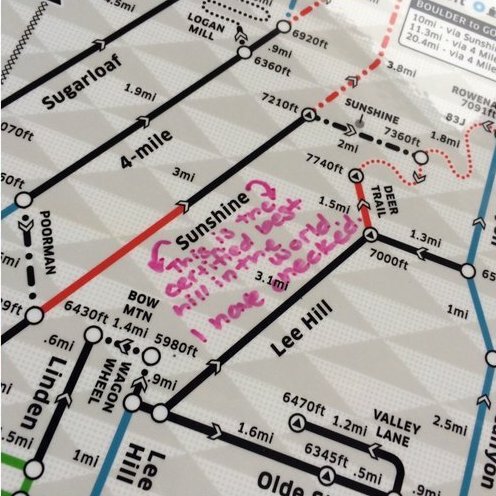 Zach threw that idea right out the window, and started from scratch. The end result, at first glance, is a little strange. 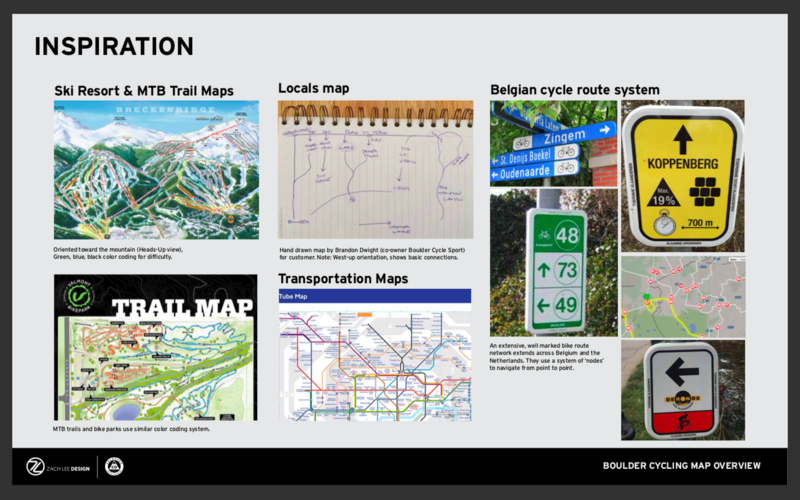 But the longer you look, the more cycling-centric detail you see. 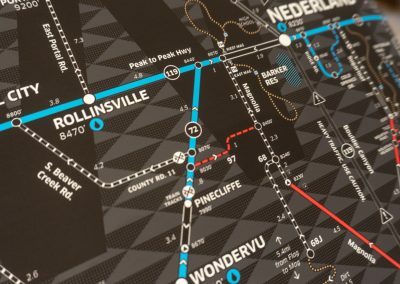 After a minute or two, you start to wish all your favorite places to ride had a map like this. 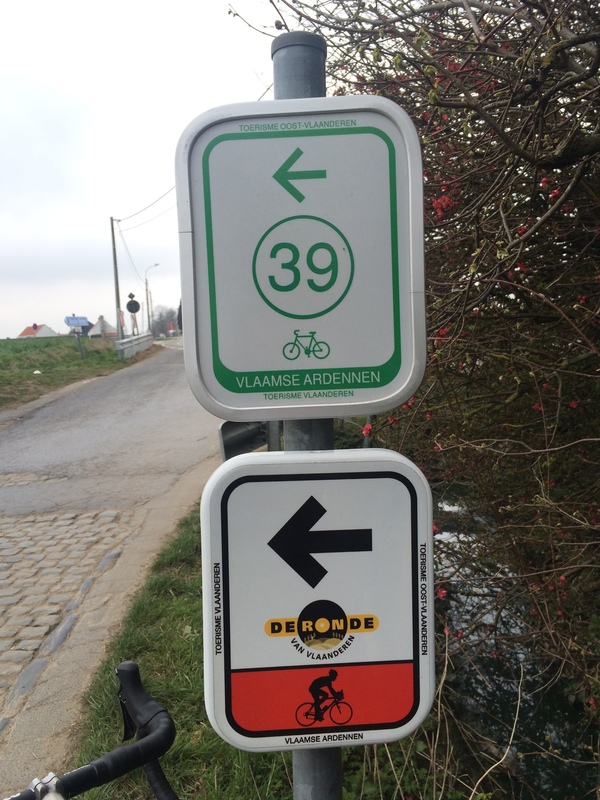 A few years ago, Zach and I enjoyed a week of cycling in Belgium with friends and colleagues around the classics for many reasons — taking in the Tour of Flanders and Paris-Roubaix, riding the Flanders cyclo-sportive with 16,000 of our friends, Belgian beer, etc. 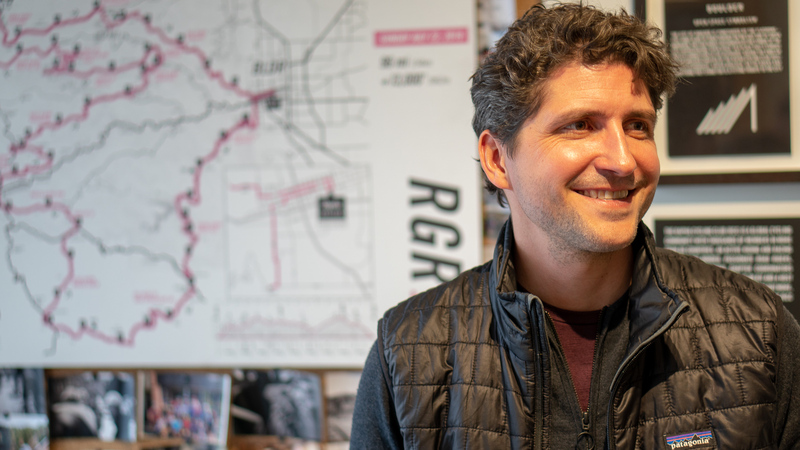 — but the incredible cycling system left an impression on Zach. 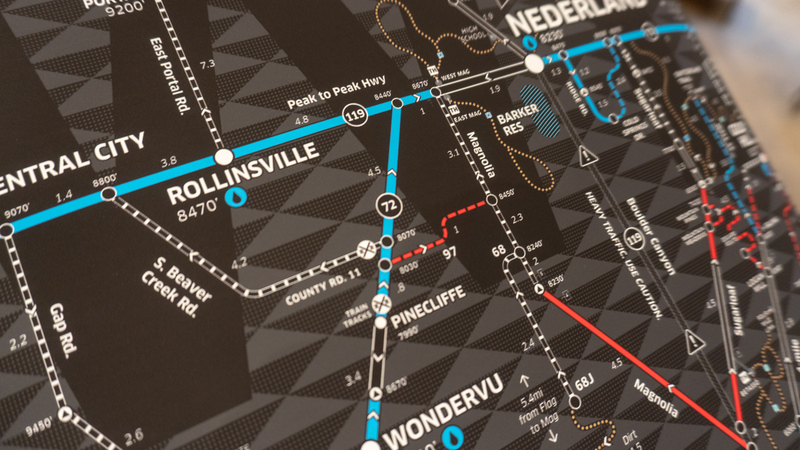 Instead, Zach sought to take the concept of numbered junctions and then draw it simply, like a subway map. 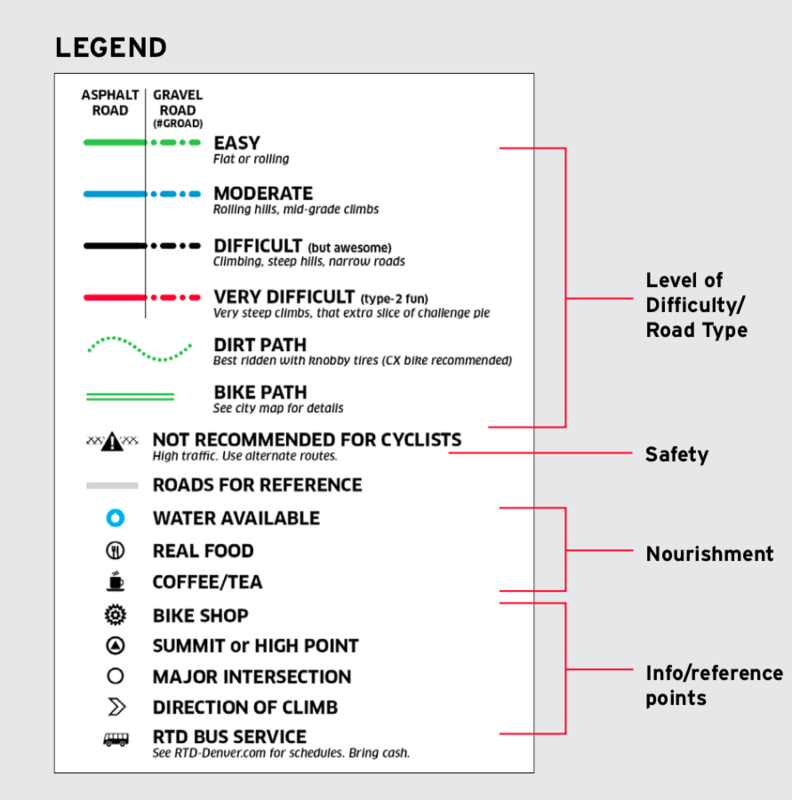 Surface (road, gravel, trail) is indicated by line type. 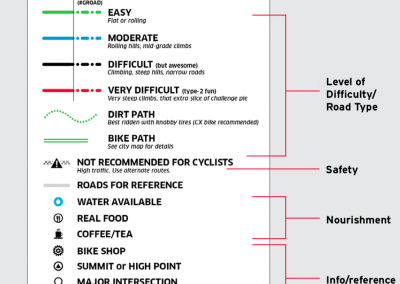 Difficulty, like on a skip map, is indicated by color. 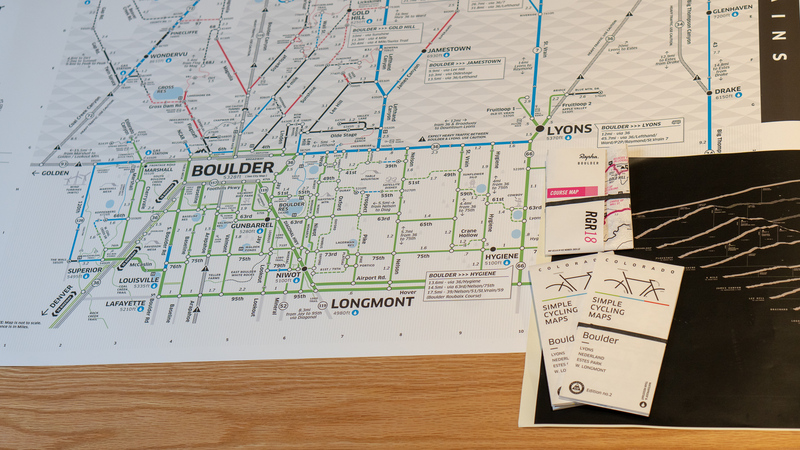 Notably, the orientation is west, towards the Rocky Mountains, not north, like on a standard map. 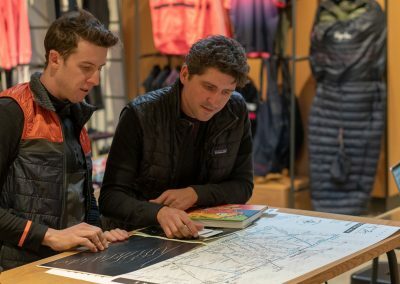 “When we are trying to decide what we are going to ride, we are either going up into the mountains, or rolling the plains out east,” Zach said. 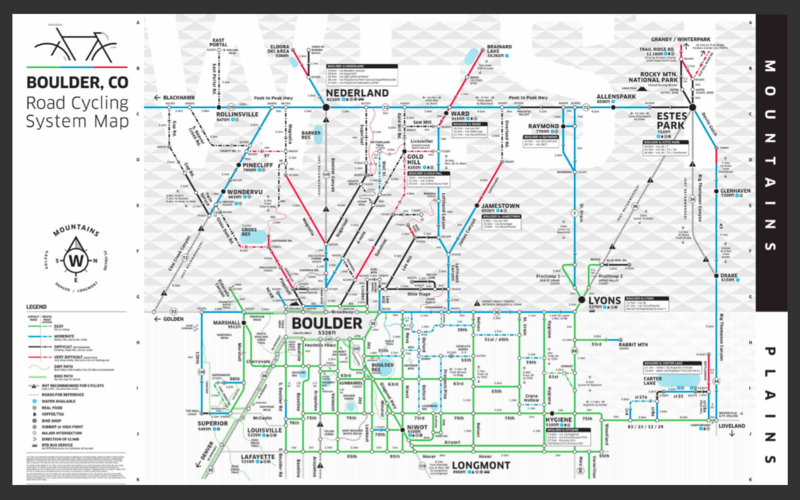 Also, most maps are drawn by political or civil boundaries, be that a county or a city. 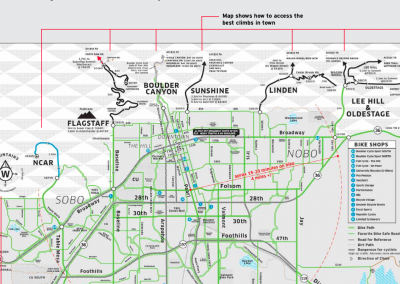 For instance, the Boulder City map shows bike lanes in the city, but not the great climbs like Flagstaff, Sunshine or Lefthand Canyon. 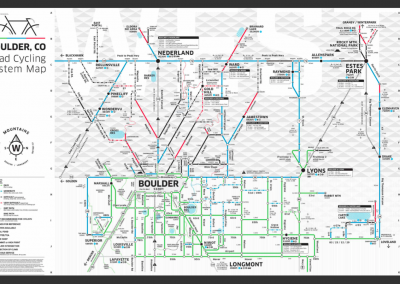 Similarly, the Boulder County map excludes big-ride staples like Estes Park and Carter Lake. 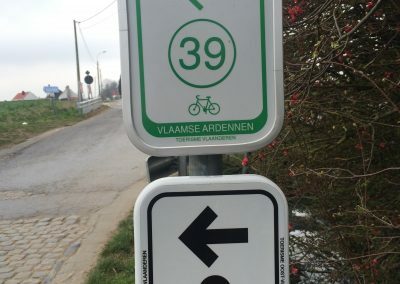 Belgium has an excellent and well-marked cycling network. 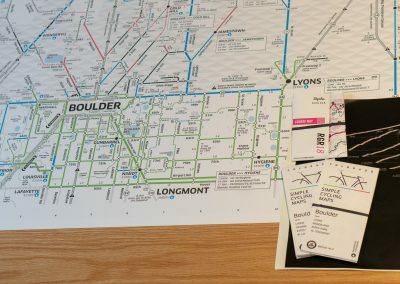 Why not Colorado? 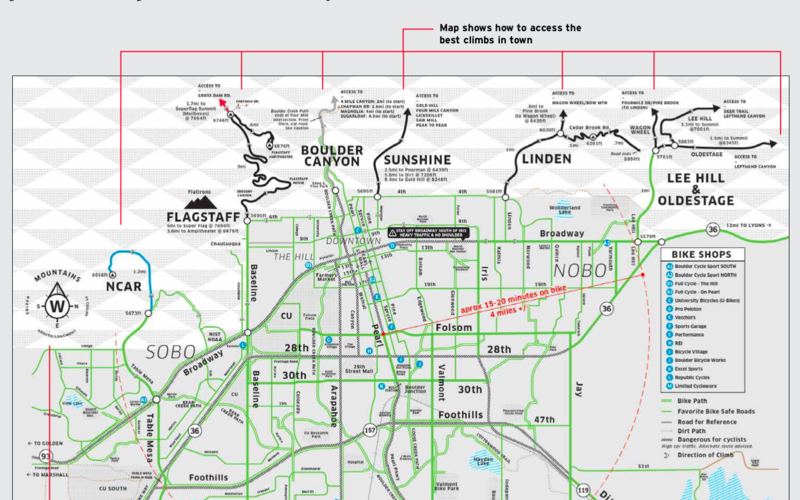 Free city maps show bike routes in towns. 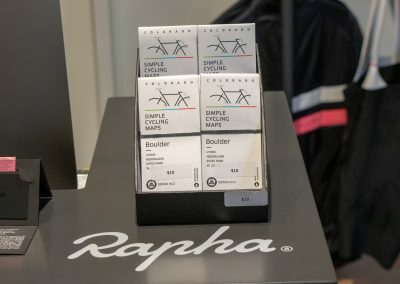 But what about *the climbs*, man? 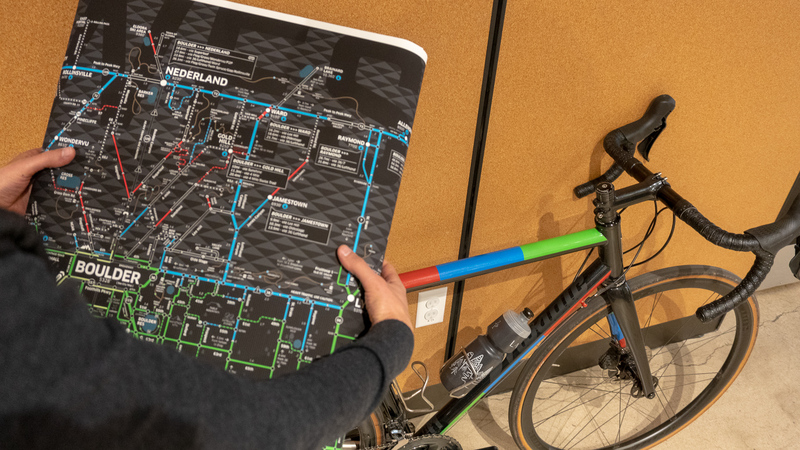 While Zach trusted his artistic skills for the map design, he sought out feedback on the details from local riders. Sometimes that meant showing it to individual riders. 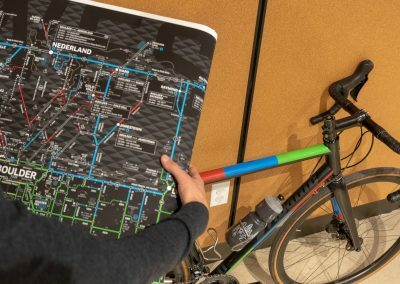 Sometimes that meant bringing large-scale maps with dry-erase laminates on them to parties at bike shops so riders could draw and write right on them. 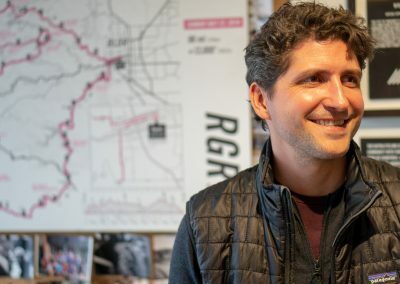 “I felt it was a more interesting way to get people involved – physically engaged, physically touching it,” Zach said. 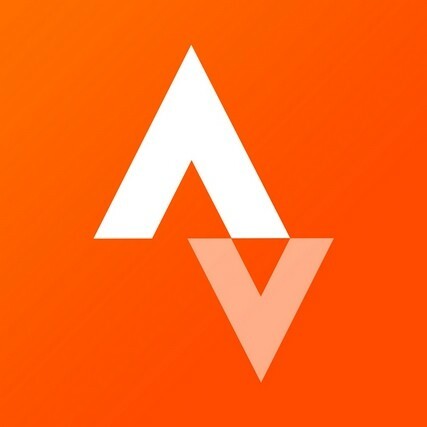 CyclingTips editor in chief Caley Fretz was an adviser on the project from the beginning. 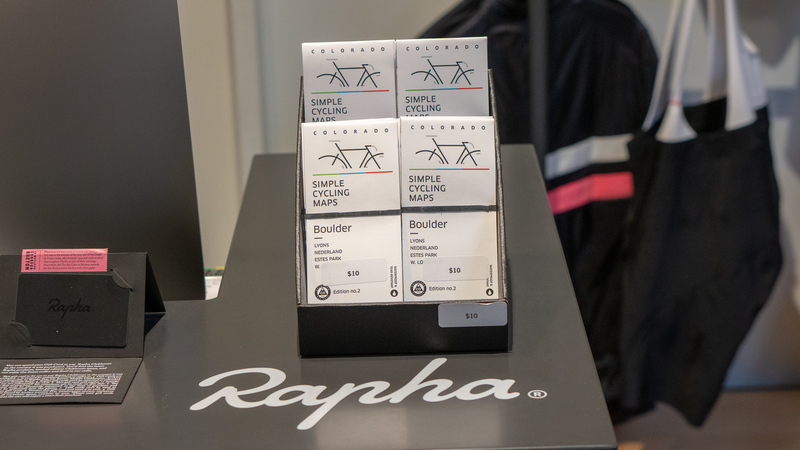 Now a number of Boulder shops stock the map, including the Rapha Club House, where staff will often use it to give riders from out of town a quick lay of the land. 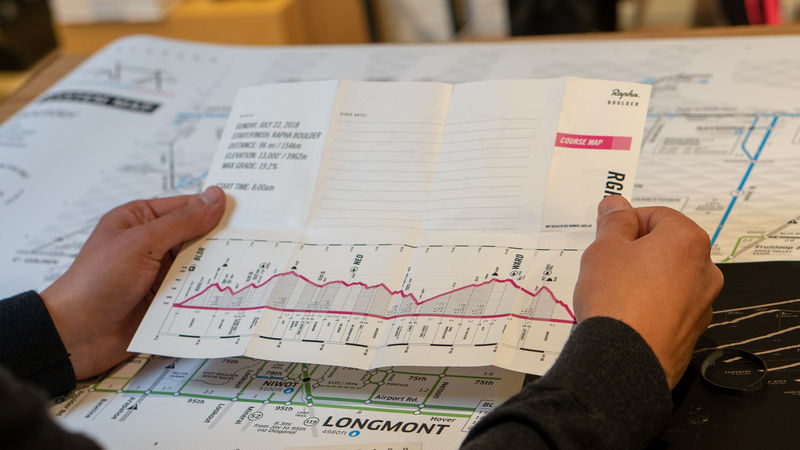 In the meantime, Zach has been working on an artistic rendering of a series of Boulder’s standout climbs. Think posters and T-shirts. 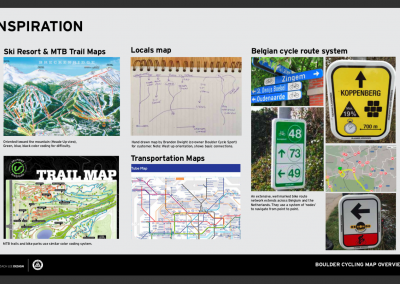 Check out Zach’s work at http://boulderbikemap.com/. I like your bio and picture going with this story. 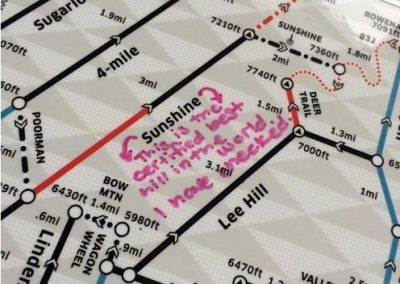 I can imagine that this kind of map might catch on around the state and beyond.